One thing we have noticed in the sport world is that brands love collaboration. 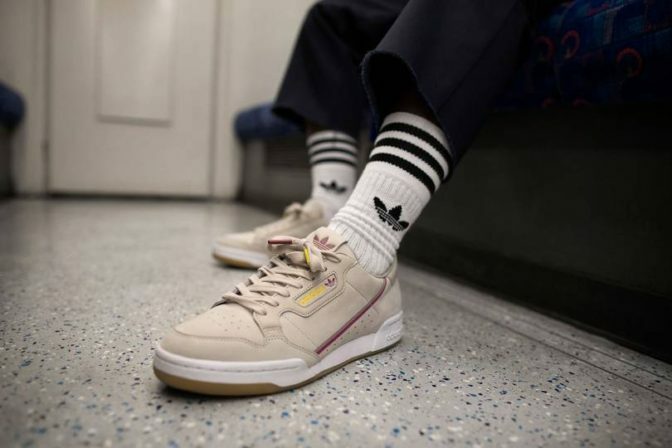 Adidas has teamed up with Transport For London (TFL), a new local government body responsible for transport system in London to release an underground street level collection. The second set will consist of 6 trainer releases (check out the pictures below). We have the Adidas Originals’ iconic Continental 80s which features two of the 12 London Underground lines. This collection would be released on Monday 10th December, 2018. London is a city bubbling with creativity from a population constantly moving forwards. TfL and the underground network make that possible. True to Adidas Originals’ principles, the collaboration takes its inspiration from the past, present and future to celebrate the heritage and unity of London’s creators. United by TfL, told by Originals.